Heat oven to 375°F. Spray 13x9-inch (3-quart) glass or ceramic baking dish with cooking spray. 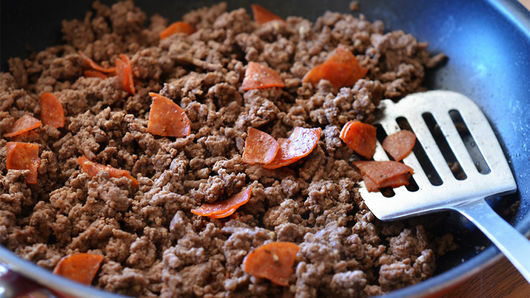 Add chopped bell pepper, olives and any other veggies you love for a Supreme Pizza version! 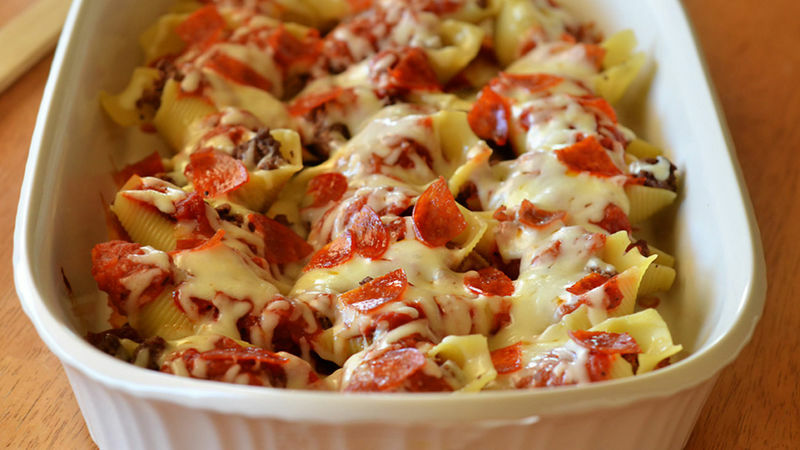 Replace the pepperoni with your favorite veggie for a meatless pizza-stuffed shell. 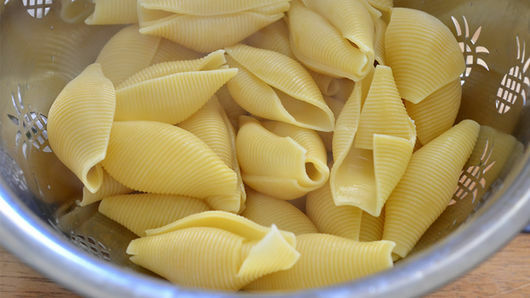 Love stuffed pasta? 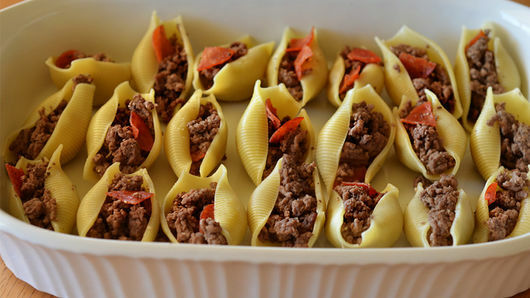 Try our Taco-Stuffed Pasta Shells recipe too!